Breakfast is included each morning at Hawthorne House, set among gardens and surrounded by fields with views to the surrounding hills. Free Wi-Fi is included. 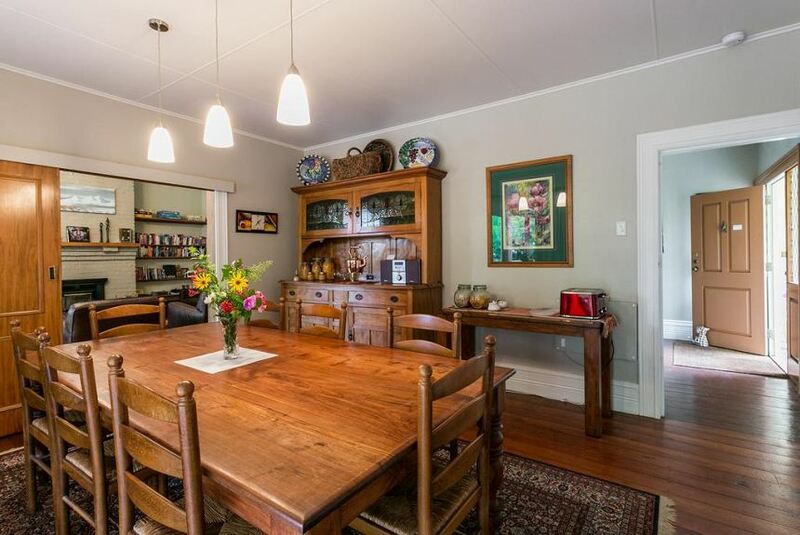 Located in the heart of Hawke’s Bay Wine Country, Hawthorne House Bed and Breakfast is a 7-minute drive from Hastings city center and only 8 minute’s drive from Havelock North. Breakfast at Hawthorne House includes mostly organic and locally grown produce, such as eggs are from the property’s own free-range chickens and homemade muesli and granola. Each bedroom features high ceilings, French doors and a veranda with garden views. All rooms include digital TV and tea/coffee making facilities. All rooms have a modern bathroom. Relax on the comfortable sofas in the guest lounge or enjoy a leisurely stroll through the garden and surrounding paddocks.